I have been a massive fan of Benefit for a long time now. I absolutely love there mascaras, bronzers and blushers, but I don't really use many of their brow products. So I went in and only purchased one item from the new brow collection; however the lady behind the counter was really helpful and helped me to determine what shade I was so in the future I will know that I have to pick up shade number 4 when I buy their brow products. But before I talk about the products I picked up, can we just look at how cute this bag is that I got from Benefit. 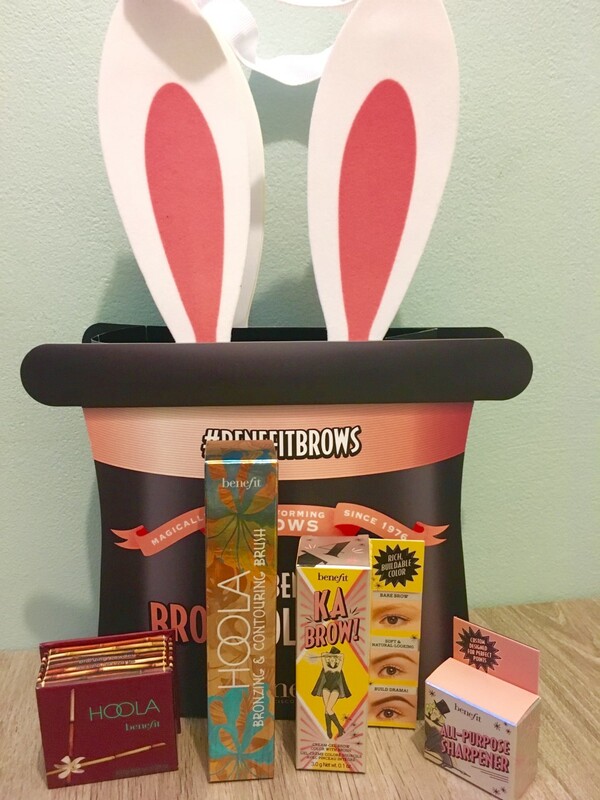 I usually just order benefit products online, and I thought this bad was so adorable and it is to celebrate their new brow collection that launched at the end of June. I didn't go that crazy at the Benefit counter because I knew there was other items I wanted to buy from other stores; so I was fairly restrained and got two actual pieces of makeup, and then two accessories. The first item I got is pretty boring and is just their All-Purpose Sharpener. 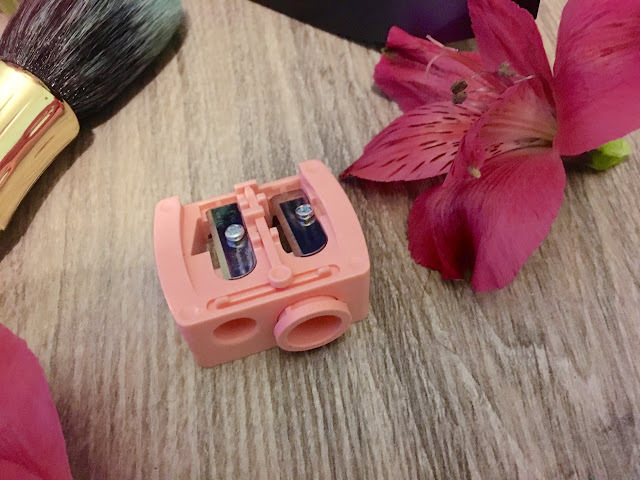 What I really liked about this sharpener is that is has a removable size-adjuster; meaning you can sharpen any size of pencil that you want from standard to jumbo. I am always in need of pencil sharpeners, because I either leave them somewhere or they go blunt really quickly. So I thought I would try the Benefit one as hopefully I will only have to keep this one as it should sharpen all of my pencils. This will be perfect for sharpen my brown and eyeliner pencils. This pencil sharpener is available for £4 (here), which is a bargain in my books! I also bought the Hoola Bronzing & Contouring Brush. I have been looking at this product for ages and been debating whether or not I need to add another makeup brush to my collection. However, I don't have that many bronzing brushes and I thought this would be perfect to use solely for bronzer and nothing else. Benefit always go all out with their packaging and I love the design of this brush, especially the gold handle. Also, the bristles on this brush are so soft and I really like the fact that it has a dome brush so it should be easier to contour and apply my bronzer. This brush is available from the Benefit Website (here) for £17.50. 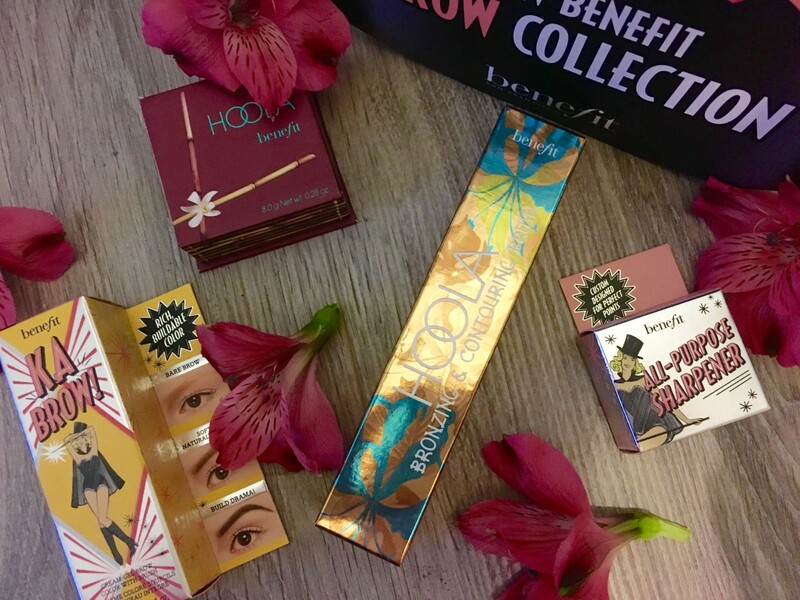 At the end of June, the whole beauty world was buzzing about the new brow collection from Benefit. 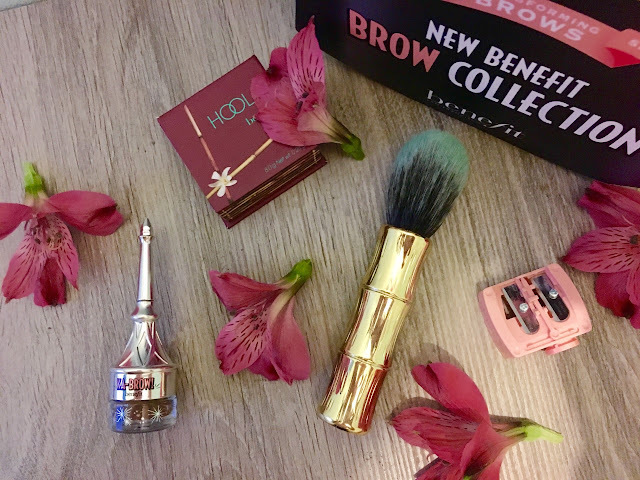 I always associate brows with Benefit and I was going to buy a couple of their pieces when it launched a couple of months ago but I never got round to it. I was going to order online but I wasn't entirely sure what shade I would be. However, the lady at the counter was really helpful in deciding what shade would be best suited for me; which was number 4. 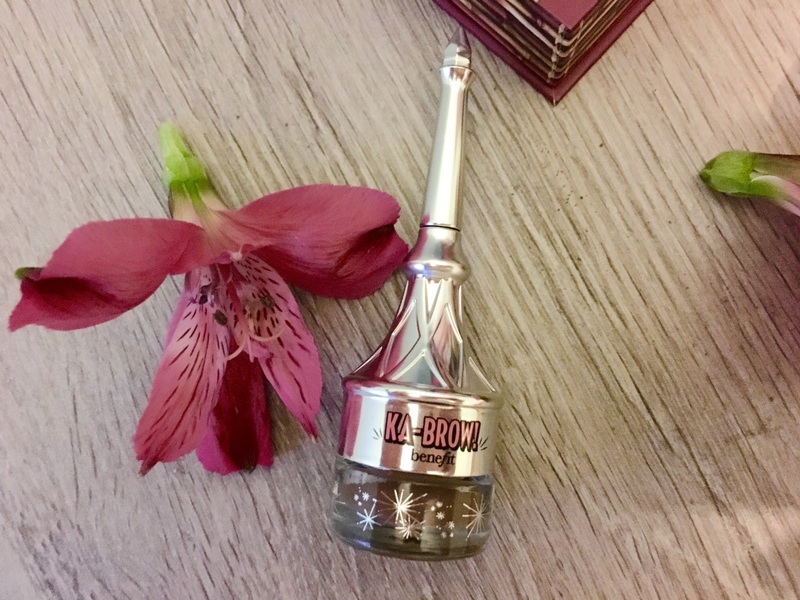 I only purchased one product from their new collection which was the ka-Brow! eyebrow cream-gel colour. This was the product I was desperate to get when it launched as I love using these sort of products on my brows. Also I loved the fact that the brush is inside the handle and you just pull the handle off and turn it around, and that forms your brush. I also wanted to get this because this is waterproof for up to 24 hours, which I liked the sound of. 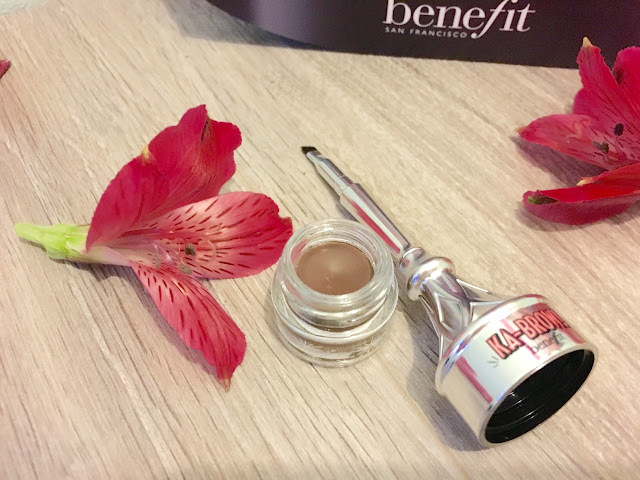 Plus I was told at the counter that this is an all-in-one brow product, as it helps to fill, sculpts and define my brows. 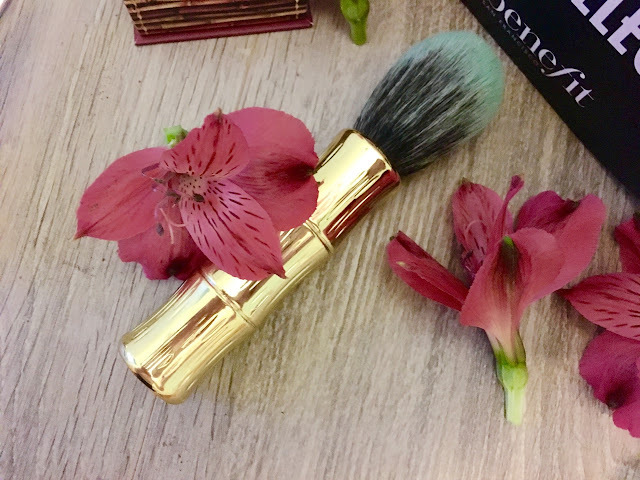 I have not got round to using this yet, but once I have a few more pieces I will do a full review on my favourite products from the new collection. This is available for £18.50 (here). If you were to ask anyone to name as many Benefit products as they could, I would bet that most people will put Hoola Bronzing Powder in that list. 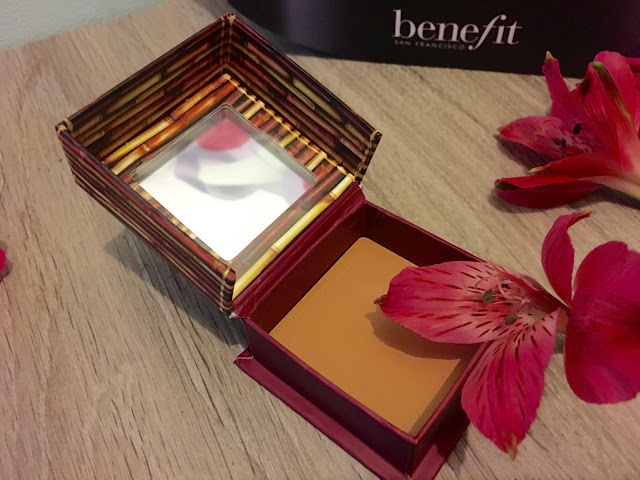 This is a repurchase for me, and it is one of my favourite bronzers of all time. This is the perfect shade for me; although it looks more orange in the photos. 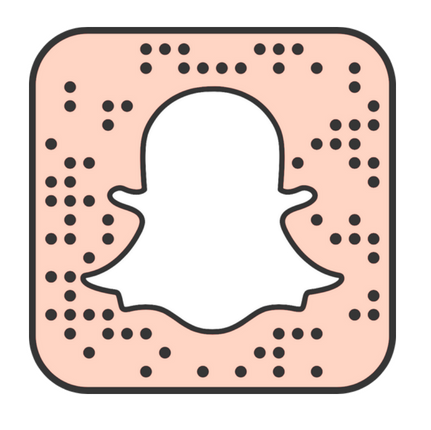 However, this is absolutely stunning and it great for giving me a natural, sun-kissed look. I also love the fact that this has a matte finish. I am going to try the new brush that I bought with this bronzer to see how it applies. This is definitely a must-have and even though it looks like there is hardly any product in the box, this can last me such a long time. It may be quite expensive, however this is a must-have in my collection and it is always quite difficult for me to find bronzers that work well with my skin tone; therefore this is definitely worth the money. This bronzer is also great for contouring as well, and I often use this on its own, over my foundation. The Hoola Bronzing Powder is available for £23.50 (here). Also, Benefit have just brought out four lipsticks and an eyeshadow palette which I am really excited to purchase, so hopefully I will have that in the next few weeks and will do a review on it as soon as I get them.